Yet again I come to you with a recipe on the run. By that I mean it is a recipe which evolved opportunistically, rather than following any tried and tested instructions. I had a sweet pumpkin and ricotta sauce that became festive with a dollop of fruit mince and ended up in ravioli, crepes and on muffins. 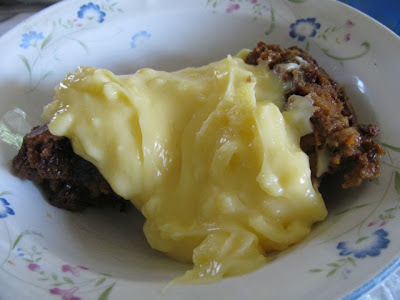 A chance comment by Cindy many moons again got me thinking it would be fun to do a dessert pasta bake. I have thought about doing canneloni stuffed with pumpkin and ricotta with a custard sauce instead of white sauce and raspberry sauce instead of tomato sauce. It has always seemed like a big undertaking that needs an event to justify it. In the past I have had chocolate pasta with raspberry sauce and I have also had my eye on a pasta with sweet orange sauce (like this recipe). So the idea of sweet pasta is not as strange as it might sound. I still would love to do the canneloni but a packet of wonton wrappers on sale and a tub of ricotta lurking in the fridge convinced me to try a sweet ravioli. I usually have pumpkin in the fridge and if I don't I have it on my shopping list. 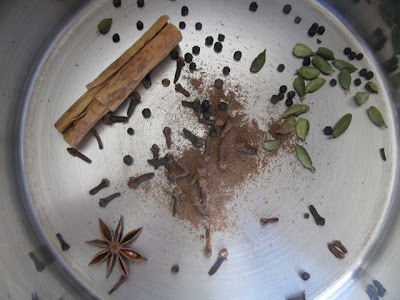 It is a great chameleon as it works in so many recipes. 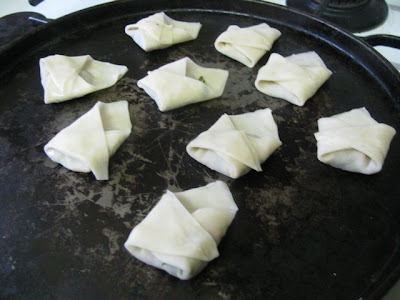 As the due date on the packet of wontons loomed, I decided I must act now rather than miss my opportunity. One rather ordinary weeknight when I was able to summon up a bit of energy I mixed some roasted pumpkin and ricotta with a little icing sugar. It was so runny. If there had been almond meal in the house I might have used that but all I could find was coconut so I added enough to make it more of a paste than a sauce. I had intended to do a raspberry sauce with berries from the freezer but a punnet of strawberries caught my eye. The ravioli was good but felt a little indulgent and we don't have dessert that often so the filling and sauce sat in the fridge for almost a week while we had too many Christmas treats to justify making dessert. 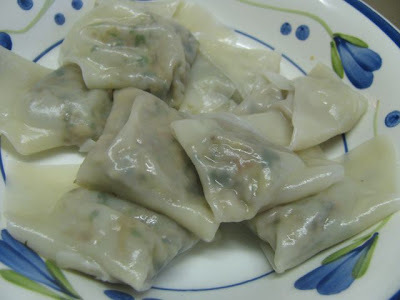 Meanwhile the wonton wrappers were used up in my mushroom and walnut ravioli. After Christmas, I tasted the filling and sauce and found they were still edible. Fearing that if I left them much longer they would only be fit for the bin, I decided I must use them up. The only way I could think to use them was in pancakes. Now I don't make pancakes often enough and when I do they are usually thick and fluffy. But this filling needed wafer thin crepes. Crepes scare me. They seem so delicate that they will tear easily. Surprisingly the crepes recipe I found worked wonderfully. I decided to put some of my remaining fig and walnut fruit mince in the pumpkin and ricotta mixture. It seemed just right. 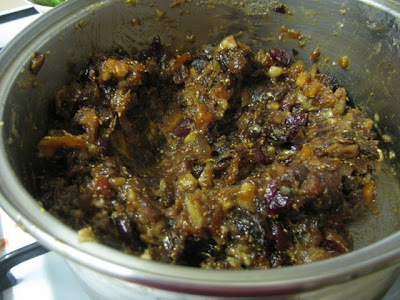 But if you don't have mince and want to try this outside the festive season, then some dried fruit, booze and nuts would do the trick. 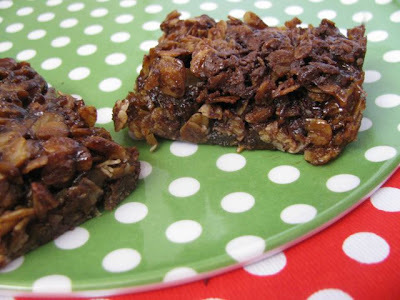 I also fancy trying this with ground almonds instead of coconut and choc chips instead of dried fruit. It almost seemed like a dinner party dessert because it was far more fancy than I usually do for E and me. But it tasted so good that it was hard to stop at one piece. Having said that, a large piece with ice cream was rather filling and it was great warmed up the next night (or even worked as a tiny slice had cold for breakfast). 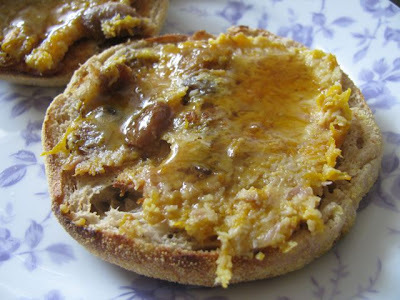 I still had some leftover filling and had this on toasted fruit and spice muffins with a drizzle of maple syrup. There are three dishes here but my favourite was the sweet stack of crepes. It looked impressive and tasted delicious. My notes below are just a work in progress but I hope to revisit and develop the idea. If it helps you with some dessert ideas too, then I will be delighted. 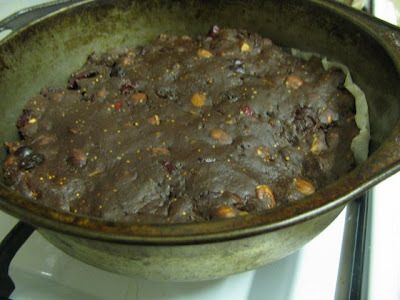 To make the filling: Mix all ingredients together to make a thick paste. Check for desired consistency and sweetness. 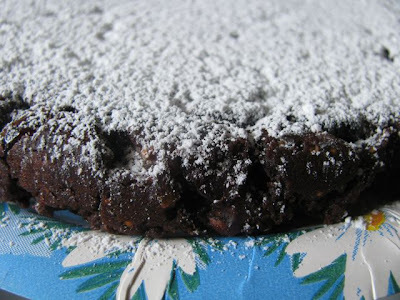 You can add more icing sugar or coconut or almonds if needed. Keeps in fridge for at least a week if you want to make it ahead or use it over a few nights. To make the sauce: Place all ingredients in a small saucepan and bring to boil. Simmer for about 5 minutes until strawberries are soft and the mixture becomes a bit syrupy, stirring occasionally. Mine became more syrupy by leaving them in the fridge for 6 days but that is optional. 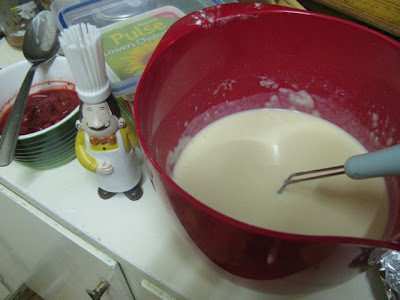 To make crepes: Whisk together eggs and milk in a small bowl. Place flour in a large bowl and gradually whisk in egg and mix mixture. Add butter. Leave to stand for about 30 minutes. To cook crepes: Heat a non-stick frypan over medium heat and use a silicone pastry brush to smear with a little melted butter. Pour in ¼ cup of batter and gently but quickly tip frypan around so the batter spreads out into a thin circle. Fry for 30 seconds or until you see the corners start to curl up. 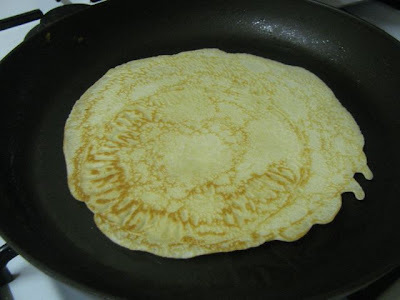 You will know it is ready to flip if the underside is had a lacy golden brown pattern. Flip over and cook another 30 seconds or so. You will find that the second side gets a few brown spots but is mostly pale. Stack on a plate covered in foil while you cook remaining crepes. To assemble: Place a crepe on a serving plate. 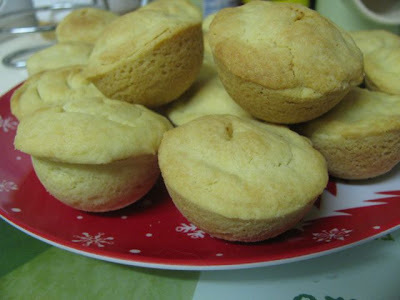 Spread with a dessertspoonful or two of warm filling. Don’t spread it too thick as you have many crepes to go. 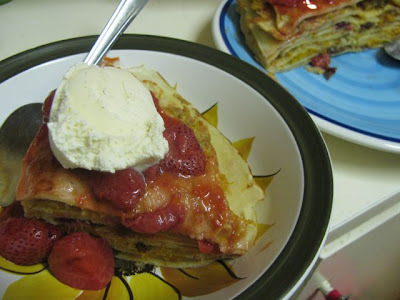 Repeat with crepes and filling until you have the last crepe on top (I made 8 crepes but the recipe said it made 12). 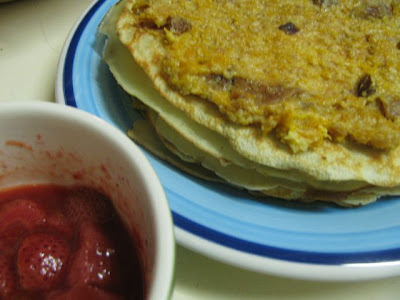 Spread top with warm strawberry orange sauce and allow to drizzle down sides. Serve in wedges. 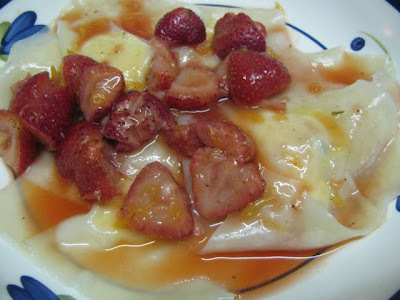 Alternatively you can use the filling for making ravioli in wonton wrappers like I did here and using the strawberry orange sauce as the pasta sauce. 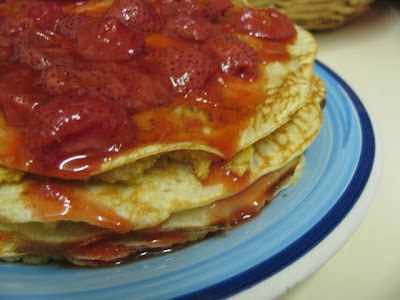 You could also fill and fold individual crepes rather than stacking them. 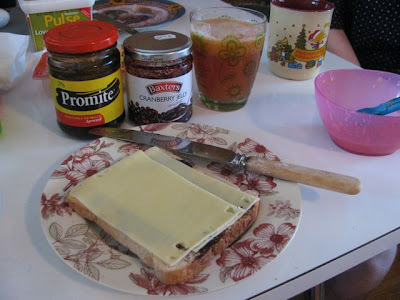 If you have any filling leftover it is good on fruit toast with maple syrup. I wanted to post separately about the lime spiders that we drank on Christmas eve because they have a special meaning to me regarding tradition. We often talk about tradition as something that has been done since time immemorial. However, traditions come and go. One Christmas eve, lime spiders taught me the joy of creating our own traditions. 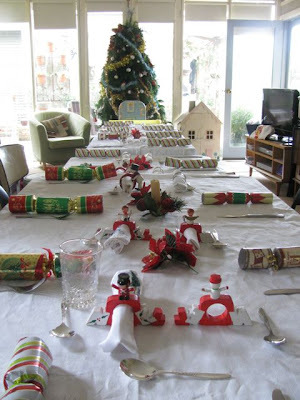 With seven children in my family, you will understand that Christmas is a busy time for my mother. She was always in charge of the cake, the pudding, the turkey, the presents, gift wrapping, herding us to mass, all while keeping an eye on seven children. (Meanwhile my dad was in charge of esoteric but important tasks like checking all the light globes on the Christmas tree lights and drilling holes in lifesaver lollies to make presents.) The older I get, the more I admire her for making this look so effortless. Many years ago, though I am not sure exactly how many, we managed to convince my mother that we had lime spiders every Christmas eve. I am not sure why or how. My dad had given us a love of lime spiders, which he talked about as a special part of his past. 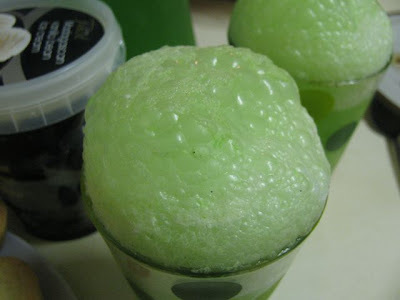 For the uninitiated, they are a scoop of ice-cream in a glass of fizzy sweet lime drink. Even the name is fun. 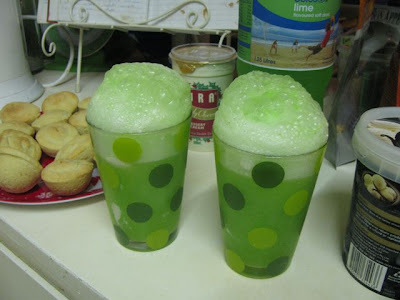 When you pour in the lime lemonade, it froths up. For a child this is magical and exciting. To convince my mum of a tradition gave us a sense of power that could only come at a time when she was too flustered to argue (or maybe she just wanted a lime spider as much as we did). So now every Christmas I love to have lime spiders and mince tarts and to feel like so much is possible. I spent a Christmas in Dublin with my sister Chris one year and we spent quite a bit of time searching for lime lemonade. I think we ended up with coke spiders but plain lemonade and green cordial would do just as well. 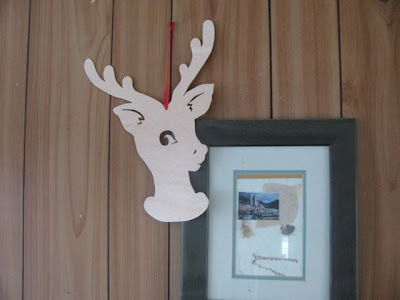 You may have noticed on this blog, that I am not afraid to mess with tradition. 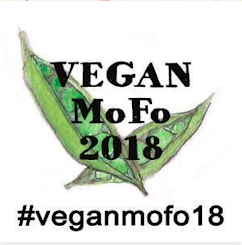 Being vegetarian has meant that I have parted ways with many meaty traditions, but I have found ways to create new meaningful traditions without meat. Perhaps this is all because we convinced my mum to create a lime spider tradition many years ago. So today I will share a quick dip I made on the weekend after hearing the Coodabeen Champions discussing a 1970s beauty contest cookbook on the radio. They mentioned a curried banana dip that took my fancy. But I was not so keen on adding dry biscuit crumbs. I was thinking about making guacamole with a half avocado I had in the fridge but I remembered this idea and decided to try it with avocado instead. I also omitted chutney, cayenne and mustard powder but added lemon juice. Here is the version I made to nibble with crackers. Mash with a fork and serve with crackers. It is strangely pleasing. Hope everyone had a great Christmas (or holiday). I have a few festive posts to share with you from our Christmas. While I enjoy having the same nutroast each Christmas, I enjoy experimenting with other festive foods at this time of year. So when E suggested we should have a festive meal on Christmas Eve, I was only too happy to oblige. 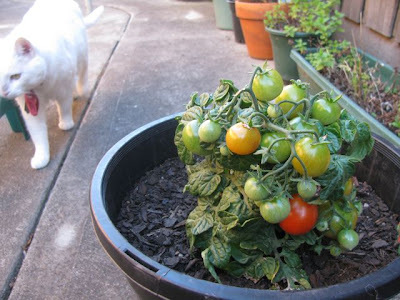 My inspiration came from a pot of cherry tomatoes that my mum had left for us in the backyard while we were on holiday and a packet of wanton wrappers that I had bought on sale because the expiry date was 20 December. 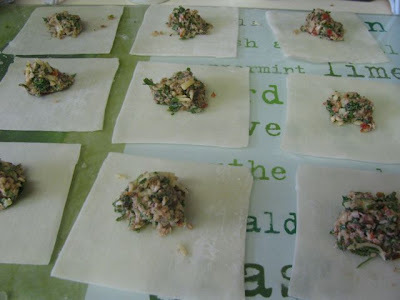 I had already tried a sweet ravioli (that I will blog later) but had plenty of wanton wrappers leftover from this experiment. The idea of any ravioli appeals to me and I was happy to try another idea. It really came from my love of nut roasts and the need to use up food in the house before Christmas. I blitzed some walnuts, mushrooms, cheese and flavourings in the food processor and dropped spoonfuls on the wrappers. 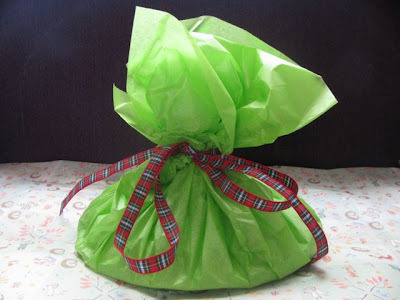 I am no whizz at wrapping ravioli so did little parcels like so. There are some ravioli recipes in the lastest Vegetarian Times and one suggests that the ravioli is frozen before cooking. I did this so that I could easily freeze whatever we decided not to eat. They cooked fairly easily and quickly and looked fine. But the piece de resistance was the topping which you can see on the top photo. I used my meagre harvest of cherry tomatoes for the holly berries and cut holly leaves out of slices of cucumber. The tomatoes and cucumber looked pretty but also make a good edible garnish. I'll even let you in on a secret. After the photograph I also threw on the trimmings from the cucumber. Christmas Eve was a busy day of preparing food, wrapping presents and getting the house in order. In addition to the pasta, I made nut roast and baked mince tarts. The nut roast is easy but pastry still challenges me. 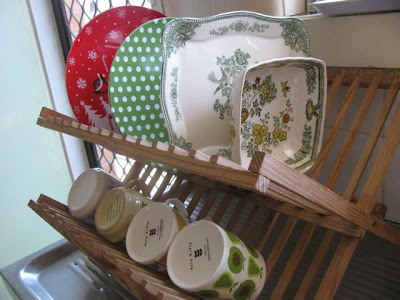 But by the time Carols by Candlelight was on the telly, we were finishing up and getting all the dishes done. 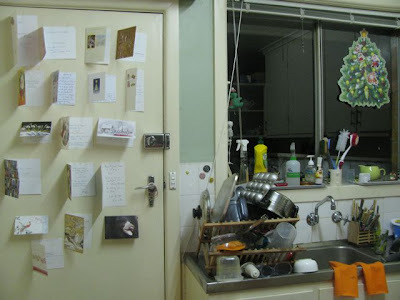 (By the way, sticky taping Christmas cards to the back of a door is a Christmas tradition from E's family.) Then we were able to sit back and relax with a lime spider and a mince tart in front of the carols. Use a finger or pastry brush to dampen two edges of the square. Fold over to make a triangle. Push all the air out and seal edges. Fold pointy edges over each other, with a bit of water to keep it stuck down. Line up the ravioli on an oven tray (or plate) and place in freezer while you prepare the sauce. Or if you don’t want to use immediately, freeze for about 15 minutes on tray and then place frozen ravioli in a bag or plastic container. While ravioli is in the freezer, cut the vegetables. Fry the onion, zucchini and red pepper for about 5-10 minutes until vegetables soften. While they cook, prepare a large saucepan of salted boiling water. Add tomatoes, garlic and salt to the vegetables. Turn up the heat to high and stir for a few minutes til tomato soften. Remove from heat. Add frozen ravioli and simmer for 4-5 minutes or until cooked. Drain ravioli and divide among 3-4 plates. 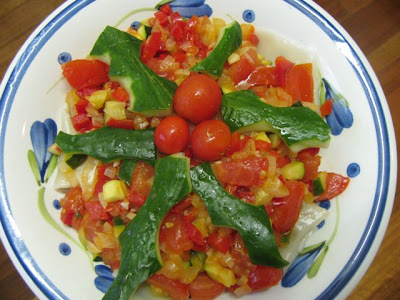 Spoon vegetable sauce over it and garnish with tomatoes and cucumber or green capsicum if desired. Today is the chaos that they call Christmas Eve. 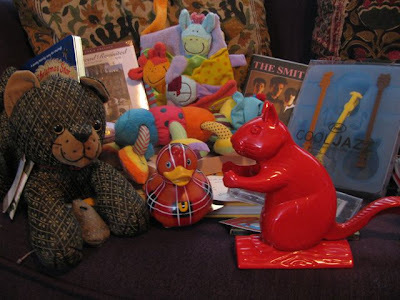 Most sane bloggers are probably too busy to even glance at the computer but I need a bit of down time. It has been a busy morning with Sylvia being a rascal: throwing every bit of food she can off the high chair, mercilessly chasing Zinc and rushing over to grab the beer every time I open the fridge door. So while she is sleeping I thought I would share a few christmas pics and simple ideas for christmas. Last Sunday, after decorating our own tree the previous day, we headed down to my mum and dad's place to help decorate their tree. It is much bigger than ours as they have more space. At the top is a photo of both old and new decorations. The angel is one of my favourites from when I was a child. 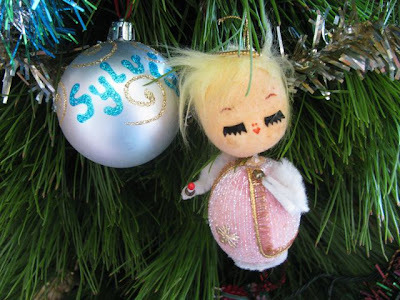 The ball with 'Sylvia' written on it is one of nine that my sister organised to be made with each of my parents' grandchildren's name written on it. What a great idea! Of course there was lots of food. Here are some of the cute shortbreads that my sister in law Erica made. My sister Fran made some great gluten free chocolate cupcakes. I was too busy to take much down, apart from some cheese pastries that my mum had left in our freezer when she kindly stocked my kitchen for when we got home from Scotland. I also took some juice as I had been curious to try Delia Smith's suggestion of equal amounts of red grape juice, cranberry juice and ginger ale. While waiting at Glasgow Airport, I had time to flick through her Christmas book and I happened to read that this was her favourite non-alcoholic combination. My mum had a cranberry and pomegranate mix which was nice in the punch but I have since experimented further and it is better with just cranberry. 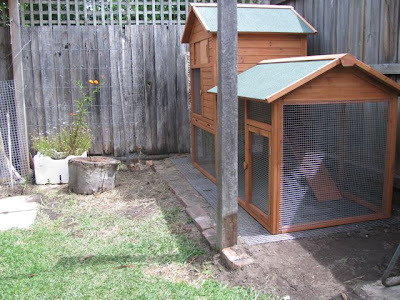 I also had my first glimpse of the new chook house that my mum had just had put up. She will be getting chickens in the backyard once they are in stock. Did you know that even live chickens sell out at Christmas. 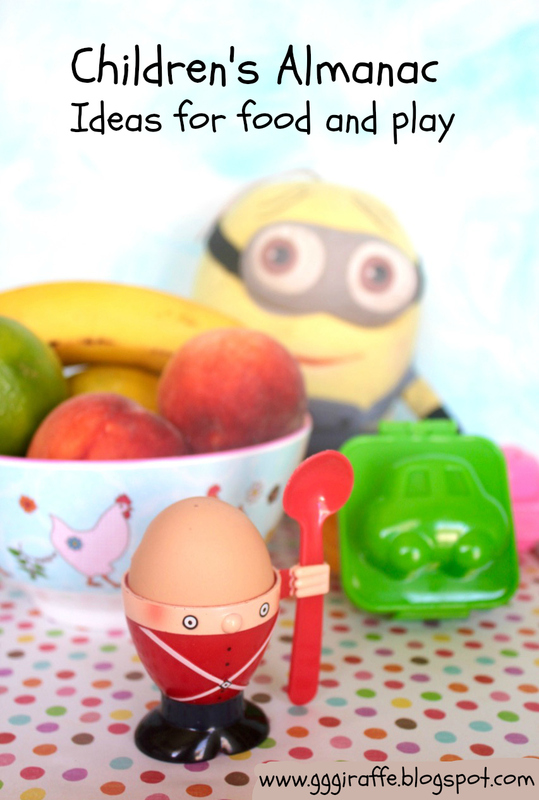 Stay tuned for some fresh eggs on the blog! Thanks to Grace for taking this photo for me. Not bad for a 5 year old. 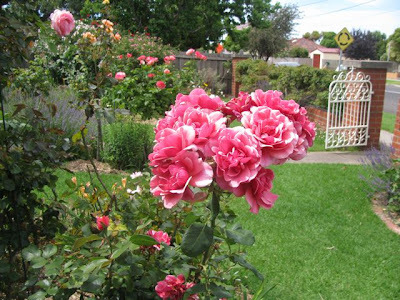 Mum and dad's garden is looking beautiful with lots of roses in bloom so I can't resist a photo. 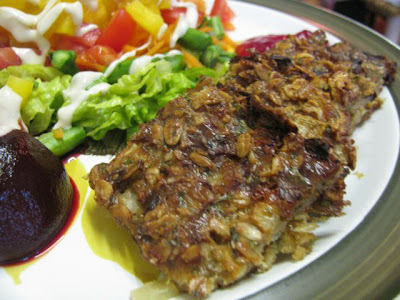 Back home, I decided to try a recipe for Oat and Onion Roast from Nic at Nip it in the Bud. 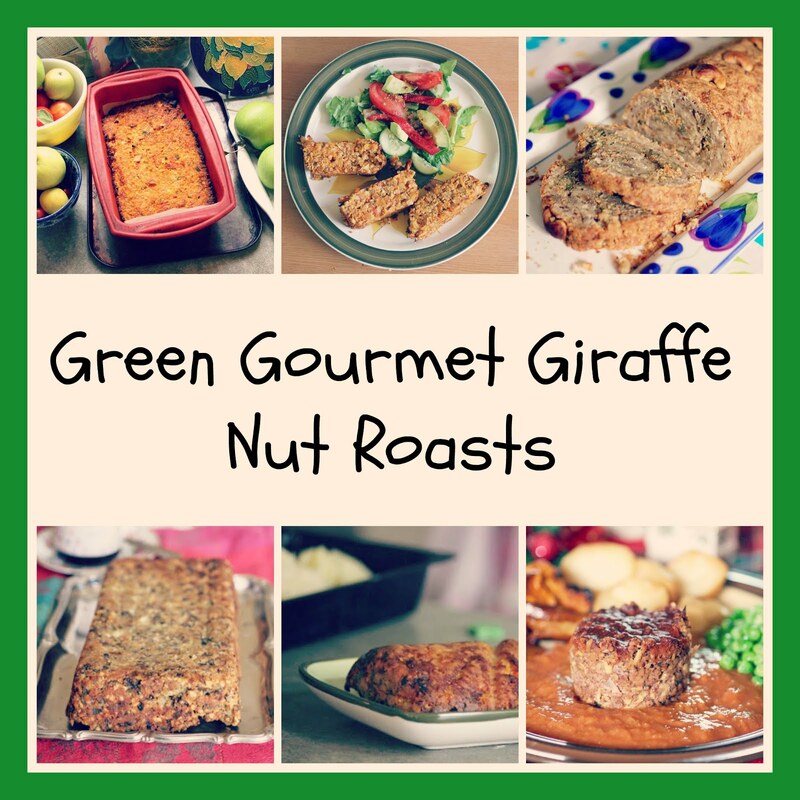 It is a good simple alternative to nut roast for those who have nut allergies. I have also been searching for ideas to use some of my sage while it is thriving and before the cruelty of summer's heat hits it. 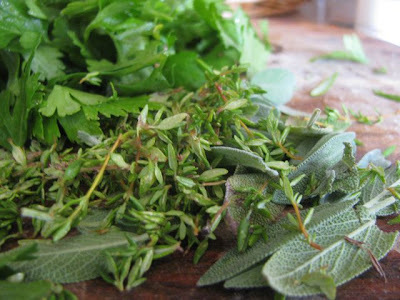 The recipe called for mixed herbs and didn't specify if they should be dried or fresh. I don't think it really matters which you have, especially as the measurement is a dessert spoon which is much more flexible than tablespoons. I am sure Nic would appreciate my handful of fresh herbs straight from the backyard because she is keen on her allotment gardening. The roast was delicious with lots of salad for dinner when we got home from decorating the tree. We were able to watch a Very Speccy Christmas. Both E and I were pleased to see a great Aussie Christmas show as we purchased the Radio Times at Glasgow Airport and E has gone over every detail of every show as he missed the British tv at this time of year. Our favourite show title is Cardigans at Christmas. How very British. 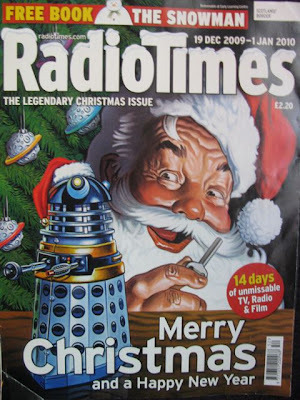 I also love Santa Dalek on the cover. Well, Sylvia is awake and creating mischief once more. E is finished work early and has been dispatched to the shops for swiss cheese and cherries, despite telling me that going to a supermarket cramps his style. 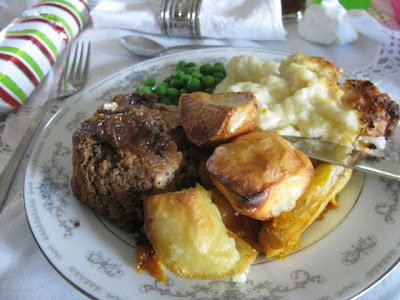 The Christmas nut roast is cooked but I am avoiding making pastry for some mince pies. I should go and face them. 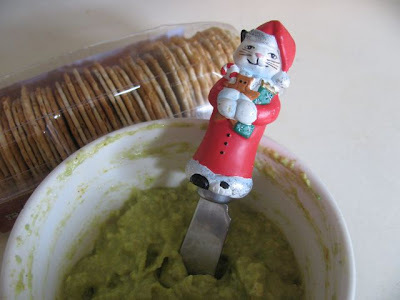 There will be more festive recipes after Christmas. But until then, I wish all my readers, family and friends a very merry Christmas and much fantastic festive feasting. Preheat the oven to 200 degrees C. Grease and line a tin. I used a slice tin 18 x 28cm which made it very thin so next time I think I will try a loaf tin - 13cm x 22cm. Mix all the ingredients together then tip into prepared tin and smooth on the top with the back of a spoon. Bake for about 30-45 minutes, depending on how big your tin is. I think 30 minutes was enough for the slice tin. Serve with a nice chutney or gravy. Mix and drink. It serves 1-2 people but can be scaled up depending on how many you are serving. Delia suggests serving it with lime slices. I would fancy trying this with orange slices too. * Update: I have also found that Grapetiser or other sparkling red grape juices can be used in this punch. 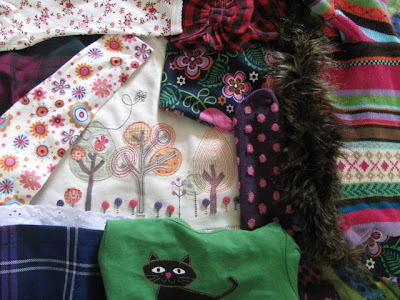 Only 3 more sleeps til Christmas and I feel hopelessly disorganised. I have bought too much food and now struggling to find time to use it and then blog it. 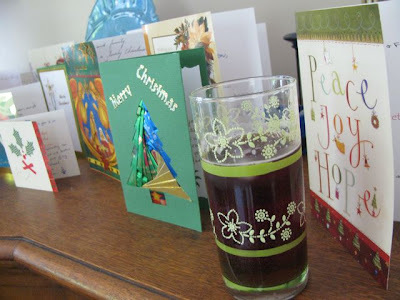 I am behind with Christmas cards, blog comments and cleaning. Meanwhile Sylvia manages to find the most inappropriate thing in the house to play with so I must watch her like a hawk. 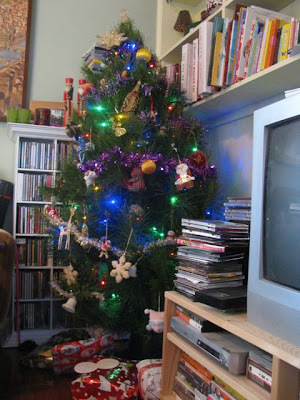 Oh well, at least I have bought all my presents and got a Christmas tree up. We put up the tree on Saturday. I headed out in the morning to the Christmas Cave to buy lights because last year the day we put the Christmas tree up our lights died. 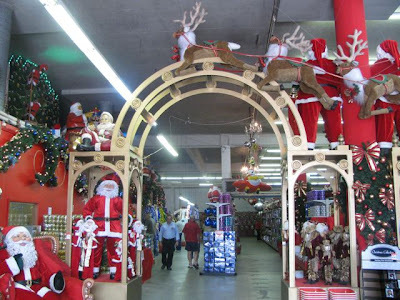 The Christmas Cave is an overwhelming array of Christmas merchandise but fun to look at. I went to Smith Street to my favourite bakery Pastry Art Design (280-282 Smith Street) and happened to spot Steph at Friends of the Earth. It was nice to meet a fellow blogger. I then went to Brunswick Street which was sunny and welcoming. E and I have been missing all the Christmas decorations and food since returning from the UK. Australia is too buy celebrating summer to really get it. 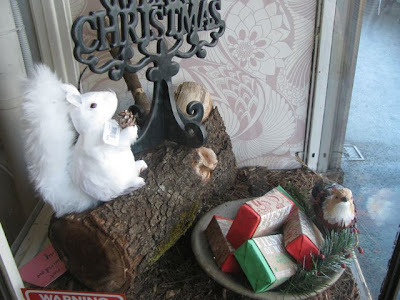 But some shops do festive Christmas displays. I was pleased to finish my Christmas gift shopping in trusty old Brunswick Street. On the way home, I picked up a smallish Christmas tree. 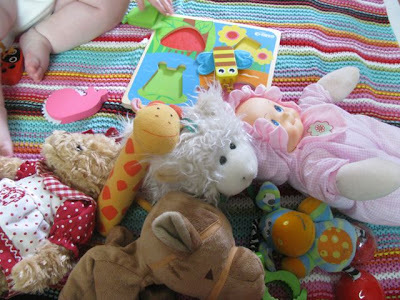 Our place is so cluttered that it was hard to imagine we could fit a Christmas tree in as well but we managed to cram it in the corner and then surround it with clutter so Sylvia wouldn't play with it. 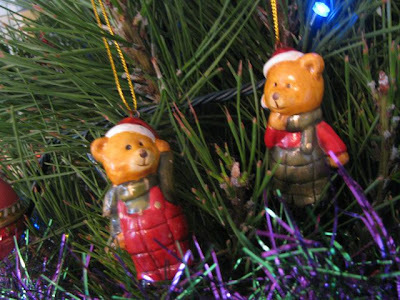 It is always a pleasure to dig out familiar old Christmas decorations that are full of special memories. I'd decided we would have mince tarts and glögi. I was inspired to make glögi by Tofu for Two. Although I have made mulled wine many times, I was interested in Anni's Finnish equivalent with no citrus and loads of interesting spices. Star Anise always looks so pretty. Anni suggested using fruit juice and I had some grape juice so it went in the pot. 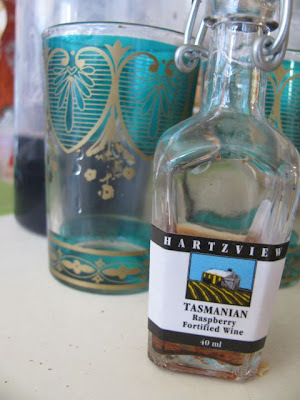 I couldn't resist adding a slurp of this sampler bottle of fortified raspberry wine that was in liquor cupboard. 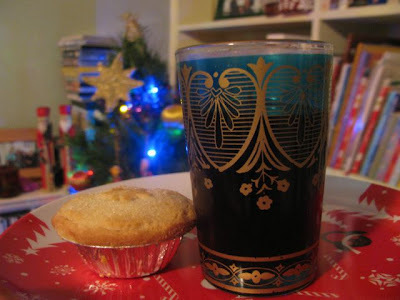 I had intended to serve it to celebrate finishing the Christmas tree decorating but by the time we had finished we needed to feed and bath Sylvia so it was after our dinner that we rewarmed the glögi and finally settled down to enjoy it with a mince tart. It was lovely but I am not sure I got the quantities of juice/liquid right. I ended up with 250ml of glögi but Anni had twice as much so maybe next time I will add more. Menu for Hope - an international blogging fundraising event in which bloggers offer prizes to be raffled to raise money for the UN World Food Program. You can buy tickets online up til 25 December - check the list of prizes at Chez Pim or the Asia Pacific prizes at Tomato. StreetSmart - an opportunity to donate money to help the homeless at participating restaurants in Melbourne and around Australia by 24 December (check out the link for a list). 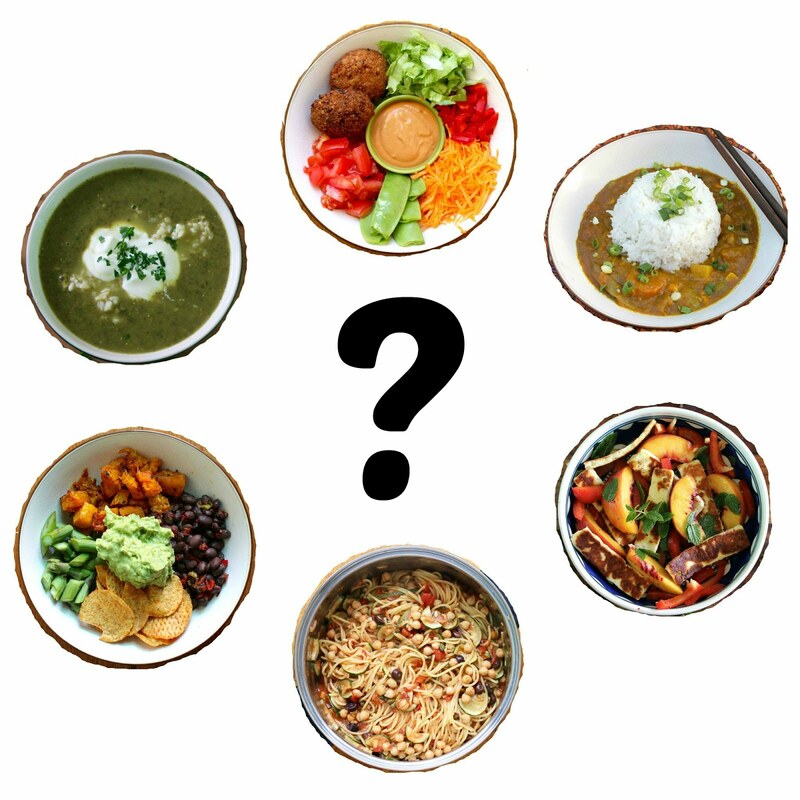 The Bloggeraid Cookbook - another opportunity for your money to go to the UN World Food Program. 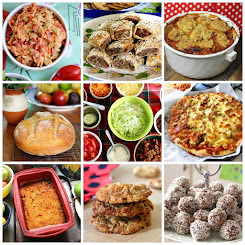 This time you can do it by purchasing a cookbook of blogger recipes. Ricki's Aniti-Candida Feast E-Book - if you or your loved ones have a diet restricted by candida, you can purchase this E-cookbook of creative and delicious recipes for just $5.00 (Canadian). Susan's Eat Christmas Cookies event has closed but you can find many great festive cookies on the round up. Place all ingredients in a large saucepan and simmer for ½ hour. Strain using a sieve and serve warm. Next time I might garnish with mint leaves. Thanks to everyone who let me know they enjoyed the Edinburgh posts. It was lovely to be on holiday with all the home comforts of a laptop, oven, washing machine and central heating. We are now back home in Melbourne and over the jetlag (which is worse with a baby) and over the transition from winter to summer (eg. E isn’t thinking he really needs to eat porridge for breakfast). It was sad to leave E’s family but good to be home. E misses the UK and so do I. He loved Wogan in the morning on Radio 2 and I love the grim British soap operas. I also love how small Edinburgh is when it comes to getting about and the buses are far more frequent. We both agreed that the local Sainsbury’s supermarket at Cameron Toll Shopping Centre was filled with such a variety of goods that we could live in there. Though we were content to leave with just some kids clothes. But being born and bred in Australia, there are things I really appreciate about living here. No more waiting for the bus with a space to put on the stroller without having to fold it up nor having to leave the stroller at the bottom of the stairwell. No more washing machine on spin cycle in the kitchen, ridiculously small bar fridge and windowless bathrooms. 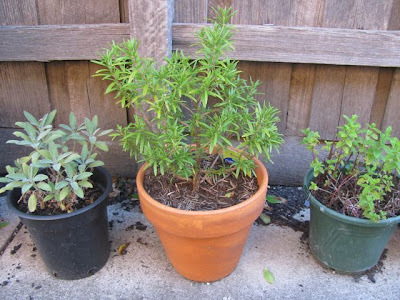 We have a small backyard where I can hang out the washing in the sunshine and grown a few pots of plants. And I quite like having the check-out chick at the supermarket pack my bags for me rather than throw me a few plastic bags and telling me to pack my own. We weren’t away that long and yet there were changes when we got home. 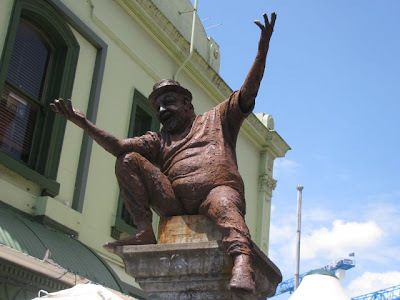 It was a surprise to find that in our absence, the government had a new opposition leader, a new Aboriginal and Torres Strait Islander Social Justice Commissioner had been appointed, and the Reserve Bank had decided on another interest rate rise. Closer to home was the end of the ratings period for the year. This means decent television shows are thin on the ground and I am missing listening to Jon Faine in the mornings on our local ABC radio. Unusually, Christmas has crept in this year without so much as a whimper of horror from me. I think it helped being in the UK around the time the festive season hit the shops. They really know how to make it feel as comfy cosy as a toasty warm hot water bottle and slippers. Dark nights are made for Christmas lights but the sunshine is my natural festive habitat. By the time we got home, we were so deep into the Christmas build-up that it was too late for complaints. 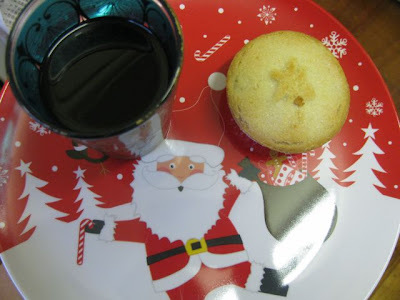 We are already into the period when I don’t cringe at carols in the shops, Christmas cards are arriving in the mail, and I welcome mince pies into our kitchen (warmed in the microwave and served with brandy butter for E). 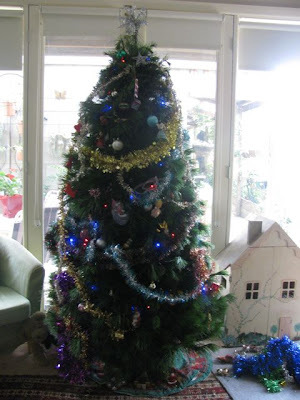 Christmas is not only upon us at home but also in the blogosphere. In blogging, nothing says Christmas like Susan from Food Blogga’s annual Eat Christmas Cookies event. It is the third year and, having participated in the last two years, I wanted to participate this year. I haven’t done a lot of baking since I got home but I did make some wonderful flapjacks, based on a recipe from C at Cake Crumbs and Cooking. 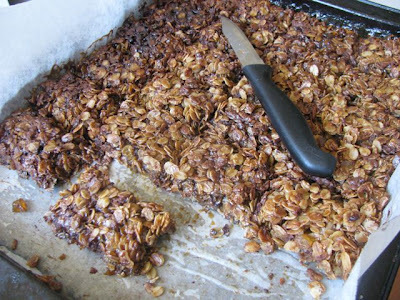 Firstly, I must clarify that these flapjacks are the British sort, made with lots of oats and butter. C rudely reminds us that although oats are very good for you, all the butter and sugar aren’t so they are not at all a healthy food. Sigh! Such a shame because they taste so good. C’s flapjacks were made with treacle and stem ginger. I’ve not been so keen on ginger in sweet baking but I am coming around to it. I decided to add some chocolate to make them more palatable but really it was just the icing on the cake, to coin a phrase. There is no icing. 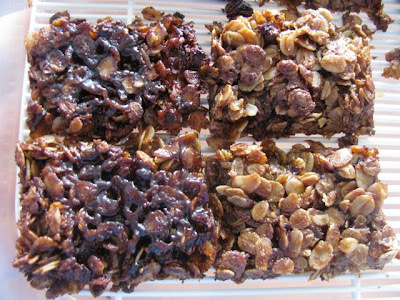 Just buttery, oaty, chocolatey, gingery yumminess. When I have made flapjacks before they have been too crispy. These were a little undercooked - soft and sticky and falling apart in my hand. But the flavours were so delicious that I didn’t mind. A few darker ones which were cooked properly were excellent – both chewy and crispy. 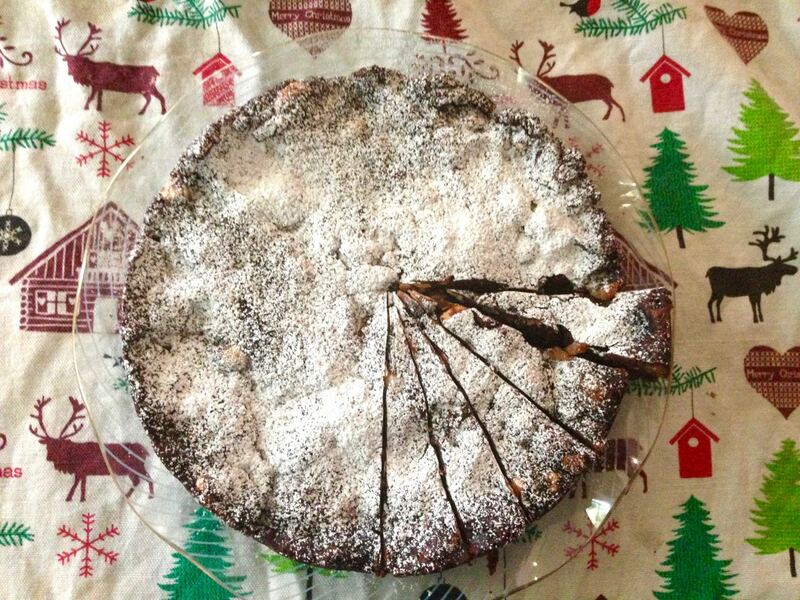 Chocolate and ginger is a classic festive combination. With the addition of melted butter and golden syrup which is my number one nostalgic smell, plus the intense stickiness of treacle, you have some wonderful flapjacks. Expect to see more crystallised ginger on this blog! 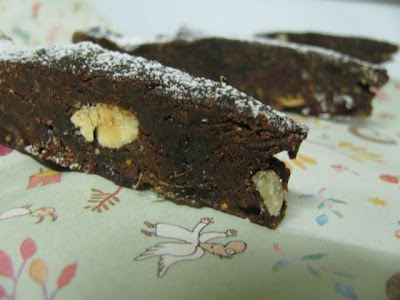 I am not sure I would consider these to be true cookies but as Susan is kind enough to have the round-up posted as entries flood in, I can see that these fit into the broad definition. And they are so festive and delicious, I am sure she will not refuse. 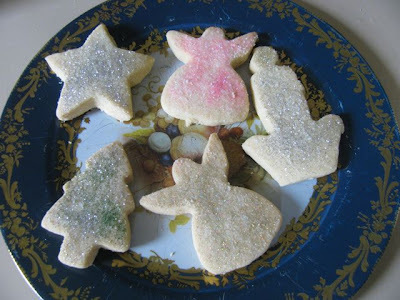 Go to the Eat Christmas Cookies Season 3 round-up to check out all the other wonderful cookies she has been sent. Preheat the oven to 180C/Gas 4. Grease and line an 8" x 12" (20 x 30 cm) lamington tin (or jelly roll tin). Melt the butter, sugar, treacle and syrup over a low heat in a large saucepan. 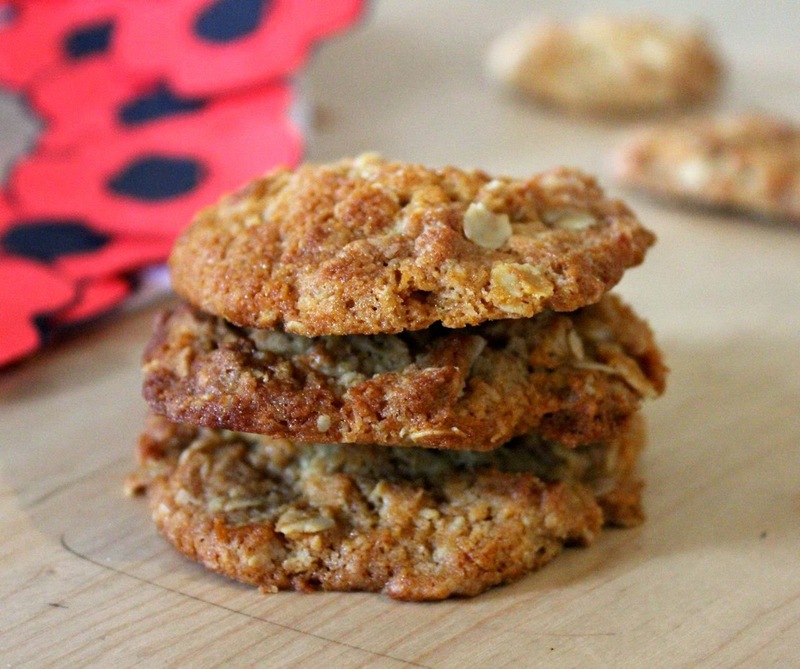 Once melted, turn off the heat, stir in oats and ginger and allow to cool slightly. Quickly stir in choc chips so that they don’t all melt. Use a sharp knife to mark into pieces while still warm and allow to cool completely in tin. Will keep for a few days in an airtight container.